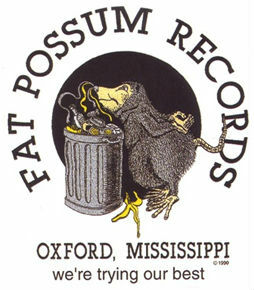 Fat Possom just has to be the best name for a record label ever. They’re an American independent record label based in Oxford, Mississippi. They started out by recording relatively unknown blues artists from the North Mississippi region: their most famous being R.L. Burnside. My personal favourite artist recorded by Fat Possum is CeDell Davies. I first heard his music when I was researching one of his fellow Possum artists Asie Payton. I hadn’t heard anything like it, so I had to know more. When I looked up the biography details of CeDell Davies, I discovered why his guitar sound was so unique. I also uncovered an incredible life story. Born Ellis CeDell Davies in 1926, Arsansas. 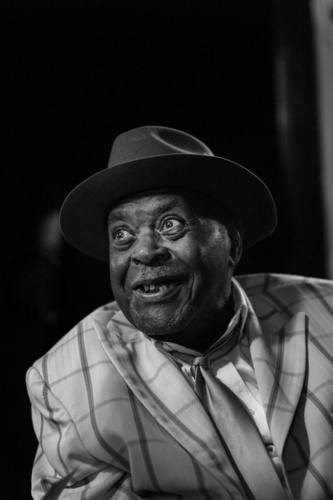 His mother was known as a faith healer and his father ran a Juke Joint. CeDell showed his musical roots from a very young age in the form of a Diddley Bow (a one-stringed instrument made by nailing a wire to a wall). Pretty soon he was learning guitar and harmonica, and sneaking off to listen to the music being played in Juke Joints. Age 10 years, he was unlucky enough to contract Polio. He was left partially paralysed and unable to walk without crutches. Worse yet, he could no longer use his right hand. His solution to this was to turn his guitar upside-down and play with his left hand instead. 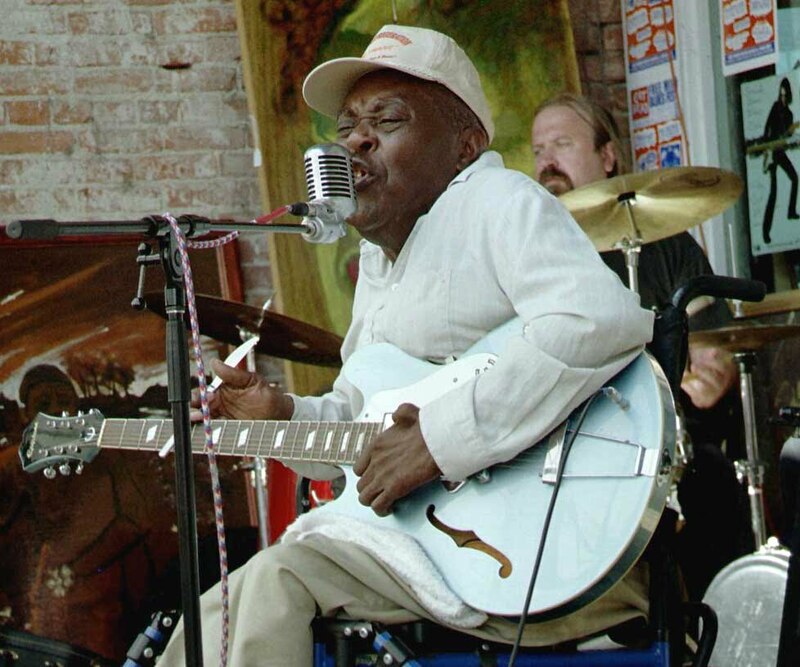 In the documentary Blues Back Home (watch clip below) he describes his life as a musician playing all around Helena (a Mississippi river port), including street corners, when he wasn’t lucky enough to have a gig in a Juke Joint or a Honky Tonk. Soon he was appearing on the famous live blues radio show King Biscuit Time with Sonny Boy Williamson and Robert Nighthawk, another slide guitarist. In 1957 he was badly injured during a gun brawl in an East St Louis bar. His leg suffered multiple fractures and this time he was left dependent on a wheelchair. He continued to play in St. Louis until he was invited to play a regular gig at the Jack Rabbit, Pine Bluff in Arkansas. He came to the national and international blues arena after Robert Palmer became his admirer. His very first gig in New York City was attended by John Lennon and Yoko Ono, and he continued to collect many other guitarist admirers during his lifetime. CeDell Davies was married twice and had two children, as well as helping to raise stepchildren. He died age 91 from a heart attack on Wedesday, 27th October 2017. His style of blues evolved into an earthy, urban gritty blues that I will never tire of listening to.